Washington, D.C. - Botanical Art Worldwide: America's Flora will open to the public on May 4, at the United States Botanic Garden (USBG), featuring 46 botanical artworks of America's native plants. The exhibition, a collaborative project of the American Society of Botanical Artists (ASBA) and USBG, will remain on view in the Garden's West Gallery through October 15. ASBA artists worked over four years on the project, creating 240 images of U.S. native plants, from which 46 were selected by jurors. Plants from around the country are featured, including saguaro cactus from the desert southwest, bigleaf maple from the west coast, bottlebrush buckeye from the eastern seaboard, and bloodroot, spanning the Midwestern and eastern U.S. Familiar plants are shown, including sunflowers and violets, as well as rare species such as lady's slipper orchids. Artists worked in a variety of media to portray their subjects, many in watercolor, but also in oil, colored pencil, pen and ink, and etching. Botanical Art Worldwide: America's Flora is part of a worldwide project, with national exhibitions simultaneously on view at cultural institutions in 25 countries on six continents. Each exhibition will feature original contemporary artwork of its country's native plants portrayed by resident artists. Visitors to the USBG can explore a digital interactive of artworks in the other 24 countries' exhibitions. May 18, 2018 has been proclaimed the Worldwide Day of Botanical Art by a global consortium of botanical art organizations. A series of public programs will be held at the USBG focusing on botanical art and native plants. For further information about these programs, visit www.USBG.gov/AmericasFlora. The global Botanical Art Worldwide collaboration aims to increase appreciation and understanding of the world's plant diversity and to link people with plants through botanical art. The project seeks to raise awareness of the growing interest in botanical art while documenting plant species around the world. Participating countries include Australia, Bermuda, Brazil, Canada, Chile, China, Colombia, Costa Rica, France, Germany, Indonesia, Ireland, Italy, Japan, Mexico, Netherlands, New Zealand, Russia, Scotland, Southern Africa, South Korea, Thailand, Ukraine, United Kingdom, and the United States. At the close of its run at the USBG, the exhibition will travel to Missouri Botanical Garden (Spring 2019), Leigh Yawkey Woodson Art Museum (Summer 2019), and the Botanical Research Institute of Texas (Fall 2019). 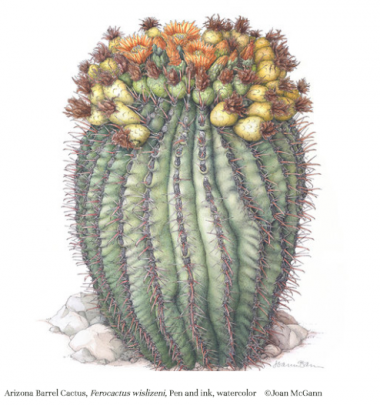 A catalog of artwork included in the exhibition is being published with the support of a grant to ASBA from Botanical Artists for Education and the Environment (BAEE). For detailed information about the exhibit, a list of artists and plants depicted, and related programs, visit www.USBG.gov/AmericasFlora. Stories behind the art and its travel schedule, see: http://asba-art.org/exhibitions/botanical-art-worldwide. More information about the international Botanical Art Worldwide collaboration, individual countries' exhibitions, and the Worldwide Day of Botanical Art can be found at www.botanicalartworldwide.info. Note to editors: Images available in this online folder. In its 24th year, the American Society of Botanical Artists (ASBA) is a non-profit organization with a mission to provide a thriving, interactive community dedicated to perpetuating the tradition and contemporary practice of botanical art. With over 1,700 members in 30 countries, ASBA capitalizes on botanical art's power to raise ecological awareness and enrich the lives of its members and the general public through botanical art instruction, exhibitions, publications, and educational outreach. More information about ASBA is available at www.ASBA-art.org.